During the last four months of 1967 a series of fierce border battles erupted in South Vietnam that cast a shadow on what had been a productive year for U.S. forces in Southeast Asia. Beginning in mid-September, PAVN began the continuous shelling of a Marine outpost located at Con Tien, near the Demilitarized Zone in northern Quang Tri Province. After an aerial onslaught dubbed Operation Neutralize, North Vietnamese pressure abated at the end of October. At the beginning of November, PAVN was discovered operating in force near the Special Forces outpost at Dak To, in the Central Highlands. After one month of intense fighting, the PAVN forces had faded back across the border. In January 1968, the recently installed electronic sensors of Operation Muscle Shoals (later renamed Operation Igloo White), which were undergoing their test and evaluation phase in southeastern Laos, were alerted to a flurry of PAVN activity along the Ho Chi Minh Trail in Laos opposite the northwestern corner of South Vietnam. Quang Tri Province and the DMZ. It was due to the extensive nature of these activities that Operation Niagara I - an intelligence collection effort by CIA roadwatch teams, the recon teams of the highly secret Military Assistance Command, Vietnam Studies and Observations Group, and aerial photo reconnaissance aircraft, was launched. Intelligence confirmed that PAVN forces were indeed in the process of building up for an offensive, but what was to be its target? Later in the month Marine patrols from the Khe Sanh Combat Base tripped off a series of actions that confirmed that three PAVN divisions (325C, 304th, 320th, and a regiment of the 324th) were already near, or advancing toward, Khe Sanh. It was at this point that the U.S. commander in Vietnam, General William C. Westmoreland, decided to reinforce the Marine position (Khe Sanh was a key border surveillance outpost and was also considered a prime jump-off point for any future incursion into Laos. 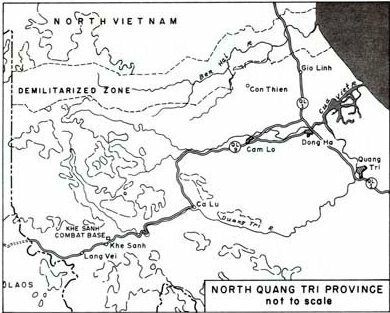 This was a risky proposition, considering that the North Vietnamese were expected to isolate the base by cutting off Route 9, the only roadway into the area. Aerial resupply would have to make up the difference, but the ongoing northwest monsoon, which was bound to shroud the area in rain, mist, and fog, would make this attempt problematic. Westmoreland was undaunted. He believed that American air power would prevent a repeat of the French defeat at the Battle of Dien Bien Phu, which rapidly became the point of comparison, both among military officers and the media. Operation Niagara was a joint U.S. Air Force, Navy and Marine Corps air campaign launched in support of the marines manning the base. Using sensors installed along the nearby DMZ and reconnaissance flights to pinpoint targets, 24,000 tactical fighter-bomber sorties and 2,700 B-52 strategic bomber sorties were flown between the start of the operation and March 31, 1968, when it was terminated. 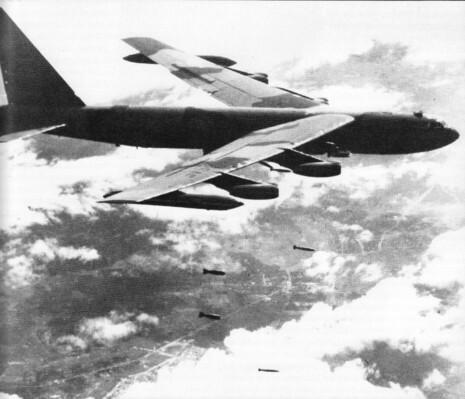 This airpower played a major role in the successful defense of Khe Sanh when it came under attack on January 21 and was subsequently besieged for 66 days until finally broken on April 7.